You are an artist in the kitchen - especially when you're baking a delicious dessert! Your creative confections are slices of pure celebration. 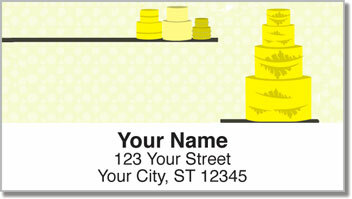 That's why these unique return address labels from CheckAdvantage are the perfect fit! 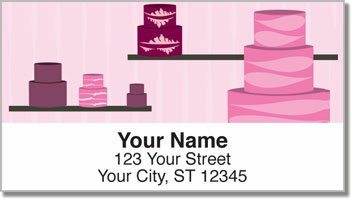 Illustrations of colorful cakes on Piece of Cake Address Labels will remind everyone you mail about your skills at sculpting scrumptious treats. Plus, they are a convenient, time-saving tool that makes preparing mail easy as pie! No more scribbling your name and address on every envelope by hand. Just peel and stick these self-adhesive labels and get back to baking! 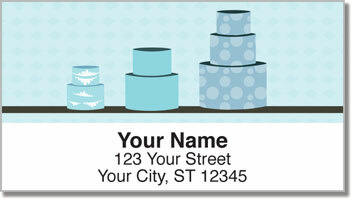 Order your own Piece of Cake Address Labels now! 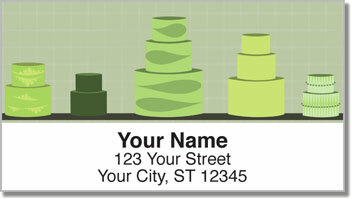 This delightful design is also available as a set of matching personal checks.